Goode Co. Kitchen & Cantina now offers breakfast on the weekends. There are sweet and savory options, plus an assortment of drinks for soothing — or celebrating — the start of a new day. For now, the new breakfast menu is available exclusively at the Memorial location and is served Saturdays and Sundays from 7:30 a.m. to noon. The breakfast menu features Tex-Mex specialties along with breakfast standards served with a Texas twist. Starters include made-to-order guacamole starting at $8 topped with choice of chicharrones, bacon or pickled onions. Premium toppings, such as shrimp and crabmeat, are also available for an extra charge. There is also fresh campechana filled with chunks of shrimp and lump blue crab, pico de gallo and roasted green chiles for $16, rich chile con queso $8 (additions, such as picadillo, are also available) and a selection of seasonal fruit empanadas for $6. Toasty yellow corn tortillas and housemade salsa are complimentary for the table. For those craving a sweet twist on a traditional breakfast, the Famous Pecan Waffle + Eggs ($12) is a nice choice. The fluffy waffle is topped with roasted Texas pecans and maple syrup for a sweet and nutty flavor. The waffle is served with two eggs cooked to preference and a choice of pan sausage, bacon, or ham — the latter is smoked in the pit at Goode Company Barbecue. These items are also available a la carte for pairing with any dish. Another hearty option is the pancakes starting at $8. They are available in an array of flavors, including the Tex-Orleans-style bananas Foster. For these, bananas and cinnamon are mixed in the batter and the pancakes are finished with a bananas Foster topping. Additional pancakes include blueberry pecan streusel, chocolate chip and plain. All pancake and waffle entrees are served with real maple syrup and fresh whipped butter. Savory Tex-Mex dishes also are on the menu. One example is the migas, which includes two eggs scrambled with chile-spiced tortillas, housemade Mexican chorizo, a blend of Mexican cheeses, fresh sliced avocado and topped with queso fresco. It is a spicy, meaty, cheesy delight with just enough heat to warm without being overbearing. 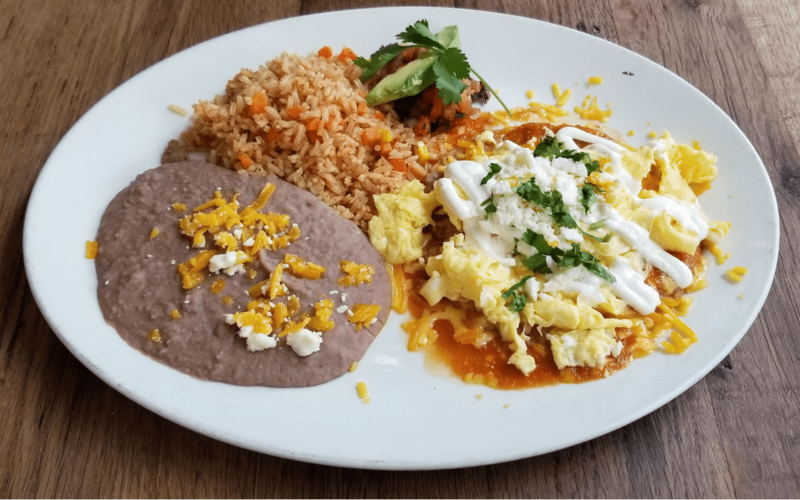 The huevos rancheros is another choice that includes two eggs prepared over easy served over a crispy bean and cheese tostada, garnished with avocado, queso fresco, fresh crema and laden with a with a spicy red chile sauce. Both the migas and huevos rancheros are $11.50 each. 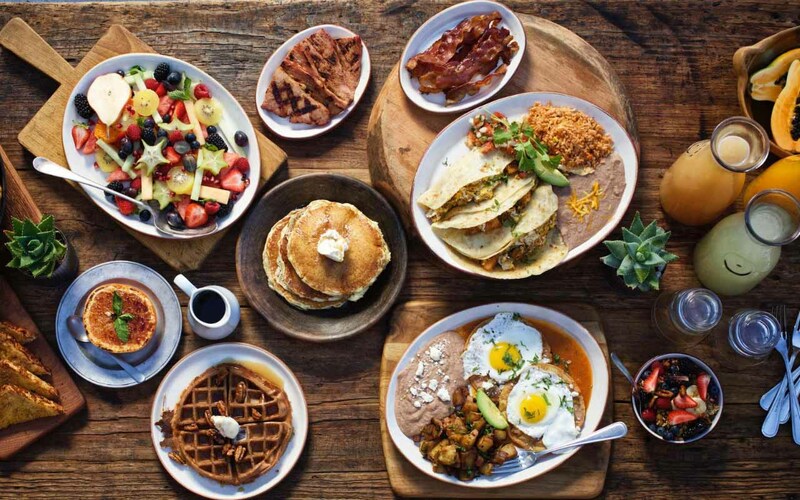 All Tex-Mex breakfasts are served with Mexican rice, refried beans, and choice of corn or flour housemade tortillas. There are also breakfast enchiladas for $15, pork-y green chile guisado for $10.50, omelets starting at $11 and breakfast tacos starting at $2.50 each. 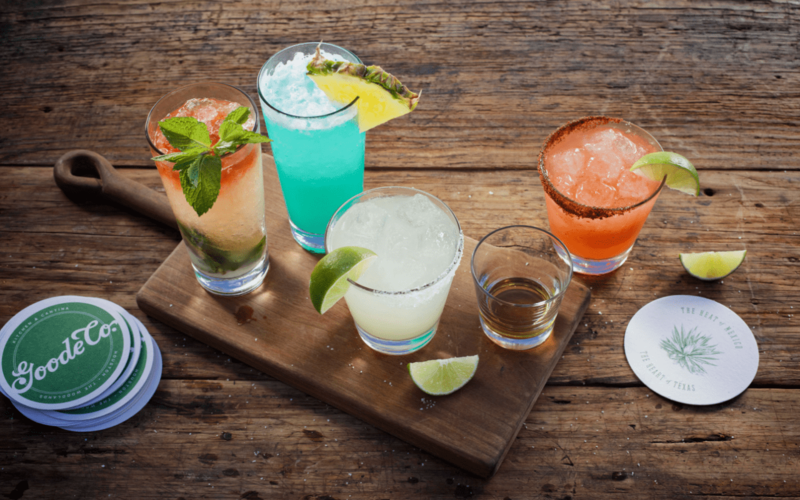 As with the food menu, drinks also hit a range of sweet and savory notes. The Damn Goode Margarita is made with Arette Blanco Tequila, lime juice and orange liqueur and is available by the glass for $9, pint for $12 or pitcher for $24. There is also a Sparkling Sangria fit for sharing that contains Cava, elderflower liqueur,aloe liqueur, citrus and fruit for $9 per glass and $30 per pitcher. The El Chapo ($9) is Goode Co.’s take on a Bloody Mary and is made from Arette Blanco Tequila, Goode Bloody Mary Mix and a chile salt rim whereas the potent Cantina Carajillo should please the diner who likes a bit of extra kick in his or her coffee. The latter combines Nitro brew, rum, Licor 43 and costs $8 per glass. Non-alcoholic options include espresso coffee drinks starting at $3.50, Mexican coffee, and juices and agua frescas starting at $4. Goode Co. 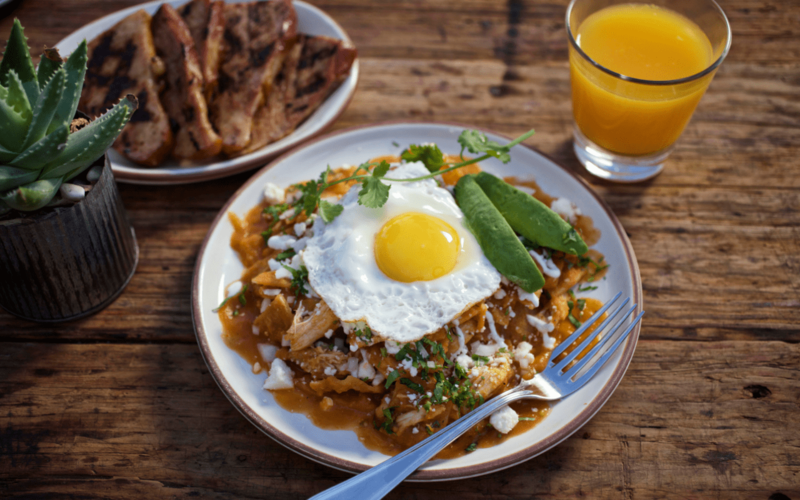 Kitchen & Cantina’s new weekend breakfast menu has dishes to appeal to a variety of palates. Diners can look forward to a mix of modern and traditional favorites enjoyed in an appealing Tex-Mex themed venue.